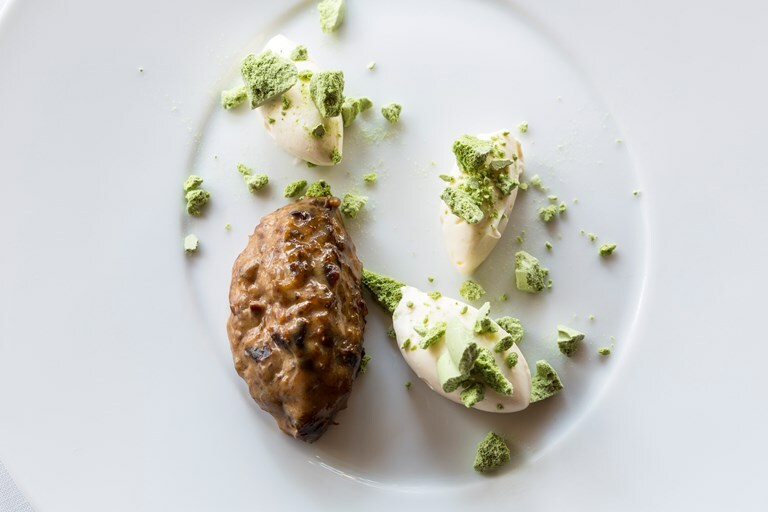 Pascal Aussignac's prune dessert recipe is a deconstruction of the classic pavlova, giving the dish a French twist with a zesty Armagnac and white chocolate ganache. Matcha powder adds a distinctive colour and taste to the meringue, providing the perfect contrast to smooth whipped cream. The three elements of this dessert can all be made ahead, making it perfect for a dinner party dessert.